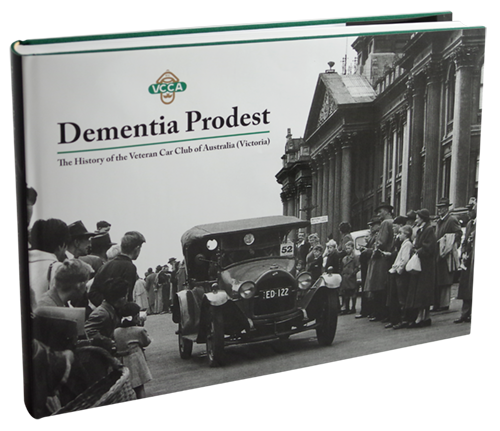 Veteran Car Club of Australia (Victoria) Inc.
We are very excited to advise that the long awaited Club history book has been released! This is a very high quality book of 400 pages, including over 800 photographs, many in colour and many never before published. Material covered includes the veteran era of motoring, the origins and development of the Club as well as the extraordinary history of the Club since its formation in 1955. The cost of the book is $45 to Club members, or $60 for non-members plus postage if applicable. If you have any enquires, or wish to purchase a copy please contact the Registrar using the following form, and we will make contact with you. The Veteran Car Club of Australia (Victoria) was founded in 1955 and caters for those who are interested in Cars, Commercial Vehicles and Motorcycles manufactured before January 1st 1919. Membership is open to anyone with an interest in these early vehicles. It is definitely not a requirement to own a veteran vehicle, membership of the club is a great way to enjoy a common interest and a fascinating hobby. We also organise day runs, mid week events and other weekend events, such as the Four or More Rally, make sure to check our coming events for further details. On April 30th 1900, Messrs H. Thomson and E.L. Holmes left Bathurst to travel to Melbourne. A distance of 493 and a quarter miles, covered in ten days, at an average of 8.72 miles per hour. They encountered dreadful weather, biting cold, torrential rain, washed out bridges, clay bogs and tracks that were barely tracks. They slept under drover’s carts, survived on two day old sandwiches, had only mile posts for direction and blacksmith repairs en route kept the vehicle running. They also experienced amazing hospitality, fantastic interest in the vehicle and their journey and the ‘tremendous excitement and pleasure’ of ‘travelling at fully 40 miles per hour’… ‘with the car seemingly alive under us’. They arrived in Melbourne on May 9th 1900. In 2019, over the weekend of May 18th and 19th, the second run for Pre ’05pioneer vehicles – motor cars, motorcycles, tricycles and quadricycles will happen in Ballarat. Until like Messrs Thomson and Holmes, there will be soft and warm beds, comfortable accommodation and food and drink to satisfy the needs of all. Two days of gentle ambling on the roads that Mr Thomson foresaw with guaranteed ‘merrily’, and without the need to ‘speed’. A glorious weekend of wonderful motoring, joyous company and an opportunity to demonstrate to this part of the world the ingenuity and foresight of motoring’s earliest creators and the practicality of their designs. Join us: each day approximately 45 kilometres total distance on country roads: Saturday – Smythesdale, Sunday – Learmonth. Display day & BBQ on Mt Panorama Start / Finish grid. NB: That includes 1916 models that were produced in the 1915 year. After the enjoyment and camaraderie of this year’s National Veteran Rally at Forbes, the 2019 mantle has been handed over! Here it’s definitely heads down with action plans, lessons learnt, meetings and begging letters. with discounts. We welcome on board Hazel Burley as our Treasurer and Marc Obrowski looking after media and newsletters. Web master Peter Ransom is busy keeping our site at www.vccaq.com updated and number crunching all the EOI data. We have appointed a rally choreographer, plus helping with musical entertainment is Tony “Goose” Spruce, lead singer in Old Bones! The ladies are not forgotten, a “Shelia Shack” with lots of exciting plans is shaping up. The rallying days will offer something special and memorable for all our entrants whether driving long or short-legged cars. You will be amazed what diversity and interest our region has to offer. We will have several opportunities, for those who wish, to use their vehicle lights. After the rally, on the Tuesday 24th Sept. with a good number of model Ts and other treasures still here, John Handley will provide one of his unique “Outback” days. We hope you have your favourite Hawaiian shirt and Lei ready for packing! Lady Musgrave is the jewel of the Southern Great Barrier Reef, enjoy from Bundaberg port a luxury catamaran transfer to Lady Musgrave Island on the way perhaps see whales. Then, with a guide, have time swimming and exploring the island before heading back. “See the Great 8” is the cry! Bargara has ample accommodation in a variety of configurations. It is worth booking at the earliest opportunity. Airbnb seems to be offering some attractive deals but check the location and distance from Bargara. The Esplanade offers a nice short pleasant walk from all the accommodation to Rally Base. Model T owners QLD Inc (MTOQ), welcomes all Model T Ford enthusiasts to join us in 2019 for the 13th National Model T Tour. This tour is to be based in the city of Maryborough, Queensland from Sunday 29th September to Sunday 5th October 2019 on the banks of the Mary River. Just a short 3 hours’ drive (250km) north of Brisbane, Maryborough is a thriving and vital city on the banks of the Mary River, filled with meticulously maintained Heritage Listed buildings, just a short Model T drive from the beautiful Fraser Coast and Hervey Bay. For all enquiries and entry details visit the website www.mtoq12.wix.com/mtoq/2019-national or email MTOQ2019rally@hotmail.com for an information pack. Tour Director Peter Cameron has already begun his tour of duty preparing newsletters to keep everyone informed of the planning process and uploading them to the website. Peter’s tip for this tour: book your accommodation from the list on the website! Monthly Meetings (Natter Nights) are held at Lynden Park Clubrooms, Wakefields Grove, Camberwell (Off Through Road) on the second Tuesday of each month at 8pm. (Except January). 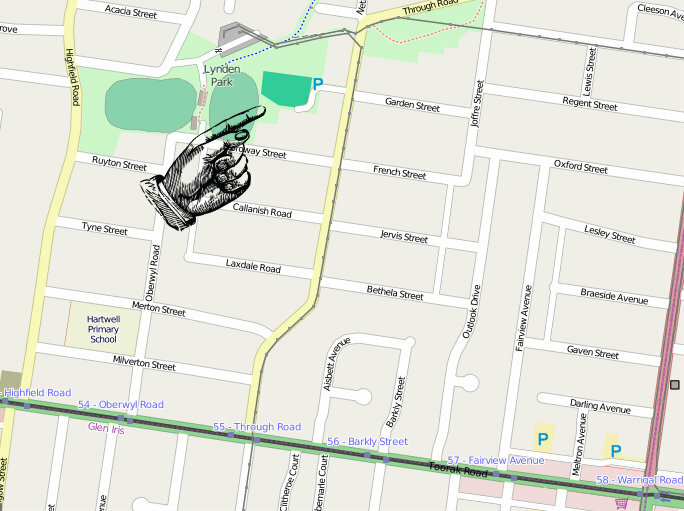 Melway Melbourne Map 60 F 4. or see map below.